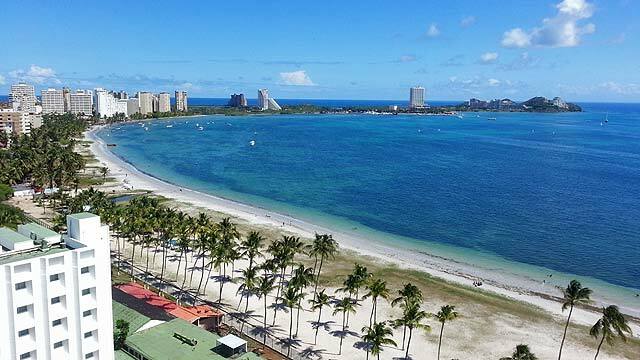 After spending a week in Mérida and three weeks on Margarita Island, I can easily say that this is the most unpleasant Latin American country I have ever visited. Below I'm going to list all the things I find wrong with Venezuela. But in all fairness there are a few things that are good: There are no beggars or pushy street vendors. It can be extremely cheap if you are willing to use the black market. Many locations are quite scenic, with lots of beautiful nature. Colombia and Venezuela have the same geography and share the same basic culture, yet they are like night and day. I'm not trying to trivialize Colombia's problems, but there really is a difference. I attribute this to decades of governmental mismanagement in Venezuela, which really is a shame considering how much potential there is for a great life there. Below: Intersection in Mérida. Venezuela is full of graffiti as the one below: "Gracias comandante por devolvernos la patria" - Thanks Chávez (aka Comandante) for giving us the country back. 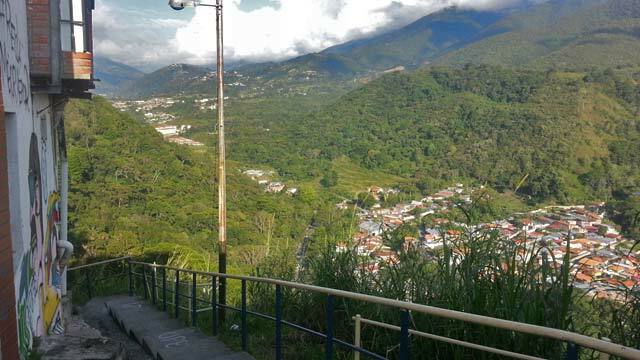 Below: View from Plaza Bolivar in Mérida. 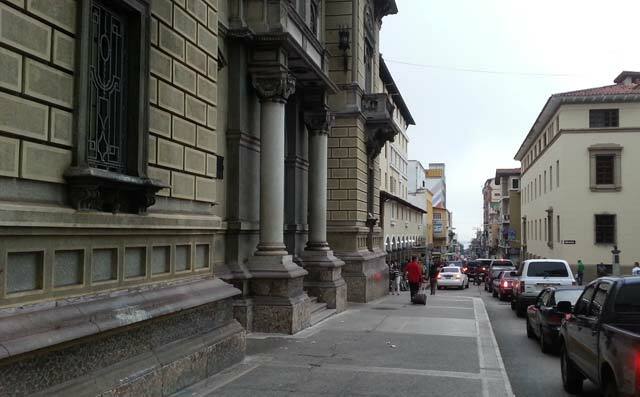 Most streets are very narrow in the city, making it very congested. Reggaeton. This is the Latin American answer to rap, and the most popular music in Venezuela, coming out of stereo systems in every street corner. This "music" requires no talent, because the rhythm is always the same, and the vocals are a mix of speaking and auto-tune melodies. It is boring, stupid and an insult to real musicians. To be fair, Colombia has its fair share of this as well. People are rough. Although I met some very pleasant people, I also met many who made me feel very unwelcome. There is an attitude of indifference, perhaps brought on by decades of suffering. They are obsessed with honking in traffic. Most cities are very congested, and the honking that goes on is unparalleled. This is a sign of quick temper and frustrations. When some driver is just a tad slow, he is immediately honked on by several other cars. Imagine walking down a sidewalk and having three people behind you yell "faster, faster, faster!" No Christmas decorations. It's the first Christian country I have ever seen that has no public Christmas decorations. It is as if Christmas wasn't even celebrated in Margarita Island when I was there. Below: Villages in the Merida valley, high up in the Andes Mountains. Low safety in public. Several times I accidentally walked into electrical cables hanging down from power lines. Elevators require no annual inspection. Once I fell down a manhole that didn't have its lid properly put on, and scratched my legs bloody. Building materials are in short supply. Common things like cement are constantly lacking. No surprise: the producers are all nationalized. To be able to buy cement you need to queue up for hours and get a ticket, and then you will be rationed a few bags. This makes it practically almost impossible to be a homebuilder in Venezuela. Get used to waiting. It is very common to see long lines of people waiting for something. It can be at the bank, at the grocery store, at the gas station and many other places. 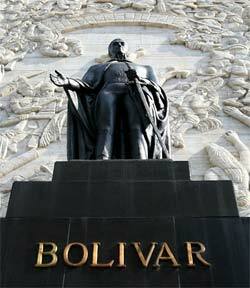 Venezuela has a very ineffective society, mostly due to government incompetence. 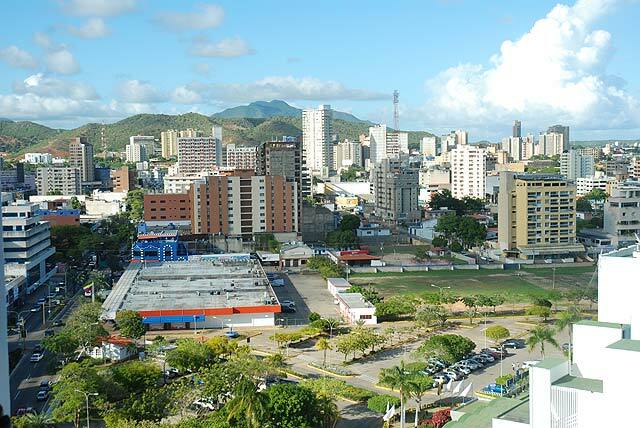 Below: The city of Porlamar, Margarita Island. Gasoline subsidies. The price of gas is 2 cents per gallon making it the cheapest in the world, virtually free. In this crazy country, gas is cheaper than water. This subsidy costs the government 10 billion dollars per year, which is outrageous when Venezuela can't even balance its own budget. No respect for limited resources. 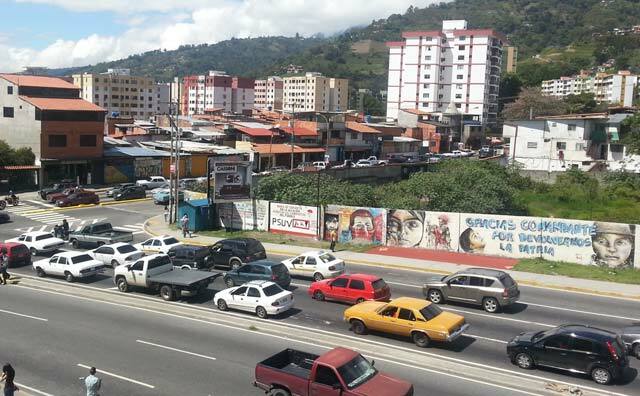 Venezuelans have no respect for petroleum, which is a limited resource. When something is free it has no value. They use seven times as much gas per person as their neighbor Colombia, contributing to major damage to the environment. Major air pollution. Most cities have serious air pollution due to the high use of gasoline. Traffic congestion. There are big problems with traffic congestion in cities since people would rather drive their car a few blocks than walk. When gas is for free, why wouldn't they? Many cars are barely holding together but still driven on the streets, a nuisance and danger to everyone. Ignorance about the effects of low gas prices. History has demonstrated, and all locals I spoke to agree, that the prospect of raising gas prices even a little will result in civil unrest and massive demonstrations. Venezuelans must be said to be shockingly ignorant about basic economics. 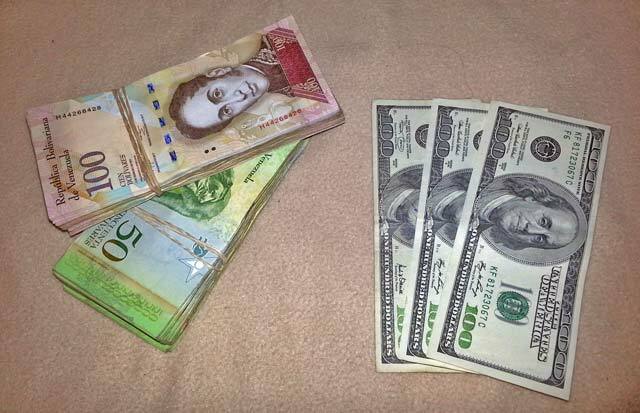 Below: Three hundred US dollars gets you a thick stack of Venezuelan Bolivars on the black market. Artificial currency problems. The government has artificially created a lack of foreign currency in Venezuela, and uses a system to ration it out to businesses. The USD is officially traded at 6.30 VEF, but only for those lucky enough to be able to buy it from the government. On the black market the VEF is currently traded at 79 to the dollar, because of the huge demand from businesses who do foreign trade. Venezuela is not a cheap country, unless you cheat. A simple meal costs $15 and an average hotel room $80, which is similar to Southern California. However if you are willing to break the law and trade dollars at the black market, the prices are suddenly sliced to a fraction: the meal is $1.20 and the hotel $6.40. You can live like a king in Venezuela, just by exploiting this problem, but unfortunately you will still be miserable due to all other issues. The government does not understand simple economics. They create a business environment where it is very hard to succeed, with price controls, limited supply of goods, and lack of foreign currency, then in typical socialist fashion they blame businesses for being capitalistic and greedy. Businesses have no protection under the law. When the government thinks retail stores have too high prices, they simply bring in the military and occupy them, to force the owner to slash prices. This happened to electronics store Daka, when president Maduro felt like giving people an early Christmas present, possibly leaving the owners in bankruptcy. In a similar story I got quoted an amazing $1,500 USD for a Kawasaki KLX250 motorcycle, which is normally $5,000 in other countries. I was ready to buy it for some fun touring, but the store manager said the local police thought they needed all the 200 bikes they had in their warehouse, and promptly took them. Lacking in democracy. As I witnessed at the December 2013 elections, borders were closed several days prior to the voting day to prevent Venezuelans living abroad to return back and vote, because they tend to be against the government. Venezuela consistently score very low on the Democracy Index, and is not considered a true democracy. A grocery store is like a factory outlet. A typical grocery store in Venezuela will only have what they can get their hands on at the moment. Many shelves are empty. Expect normal staples like milk, toilet paper and bread to only be available from time to time, unless you are willing to pay a premium. It is truly sad that a country with such great potential can be so miserable. It sits on the largest oil reserves in the world, large deposits of iron and gold, has vast stretches of arable land, and is among the most scenic and beautiful in the world. What went wrong? What would make the people of Venezuela want this crippling socialist system so bad that they vote for it time and again for over 15 years? Unlike North Korea, they actually have some power to influence their future in Venezuela.